It has been a hella crazy week for Star Wars fans. A Han Solo film was announced, the novel Dark Disciple was published, the first issue in the Lando comic series was released, and San Diego Comic Con is giving us even more Star Wars insanity like the release of the First Order Stormtrooper action figure from The Force Awakens! Plus, yours truly announced the upcoming Ewok Week I will be doing later this summer. Yahtzee, the awesome just keeps rolling on and on! For today’s post, though, I wanted to keep things on the lighter side. I did a lot of pretty heavy mental lifting with my series on The Rule of Two and my brain has not fully recovered. Well, that and I just moved to Alexandria, VA from Pittsburgh, PA and I am exhausted. Needless to say, sitting here writing something that isn’t too dense is a nice reprieve from the shenanigans of moving. In a fun twist, though, my idea for today’s post is a result of the move, or rather, the drive from Pittsburgh to Alexandria. Alright, so, that is the music that plays when Wedge Antilles (in his X-Wing) and Lando Calrissian (in the Millennium Falcon) fly into the super structure of the Second Death Star. Chances are you already knew that, and chances are that if you have watched Return of the Jedi enough times, when you have driven into a tunnel, you have also belted out this particular Medley. Or, maybe, you have actually turned on the Return of the Jedi soundtrack and listened to the Medley as you drove through a tunnel. If my RotJ soundtrack had been in the car with me, I would have done that too (I only had The Empire Strikes Back with me on this particular trip). Now, it is one thing to just hum the tune, or belt it out, or put on the soundtrack. I mean, I am sitting here humming along to the Medley which is playing in the background as I type. However, it is entirely different to hum it, or belt it out, or put on the soundtrack to RotJ when you drive into a tunnel because it essentially means you are pretending to participate in the Battle of Endor. Yeah, I am not ashamed to say that I imagine that I am flying into the superstructure of the Second Death Star when I drive into tunnels. But the thing is I do it entirely on instinct. It is built into my psyche at this point. If I ever drive into a tunnel and I don’t hum the tune, or belt it out, or put the RotJ soundtrack on I feel like something is wrong. Oh, and to make tunnel driving even more awesome, I typically quote Wedge and Lando as I drive into and through a tunnel, all of which culminates with the “YEEEEEHAAAAW” as I fly, whoops, I mean drive out the other side. 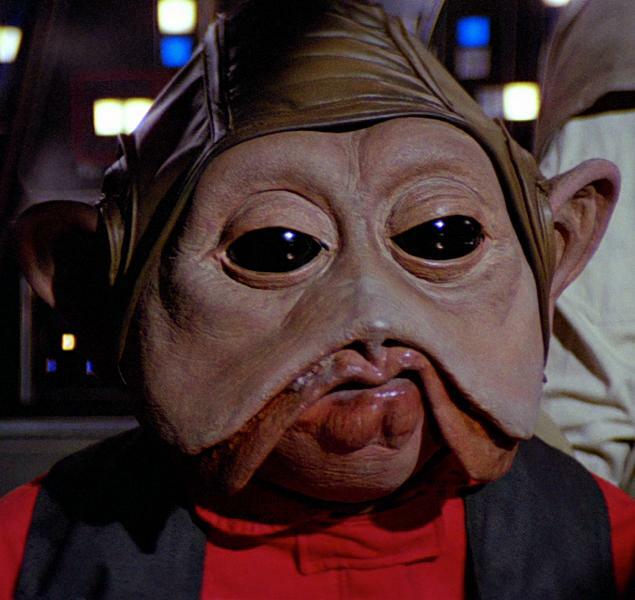 Really, what would make the tunnel driving even more epic is if I had someone sitting next to me willing to play the part of Nien Nunb. But they will have to learn Sullustese. I mean, it would be pretty ridiculous for someone to pretend to be Nien and for them not to learn Sullustese!!! Hahaha how silly, Nien Nunb speaking Basic! Anywho, I have some pretty awesome stuff planned for the coming weeks (including my take on what a Yoda film AND a Kenobi film, respectively, could/should look like), but until then, let me know if A) if you have ever had a similar tunnel-driving experience(s) as the one I have described and B) if you find yourself in other situations belting out a Star Wars tune or quoting Star Wars. Leave a comment and share the love! Flown by Luke in A New Hope, the X-Wing Starfighter is easily one of, if not THE, most iconic and easily recognizable fighters in the Star Wars galaxy, perhaps only competing for the top spot with the TIE Fighter. 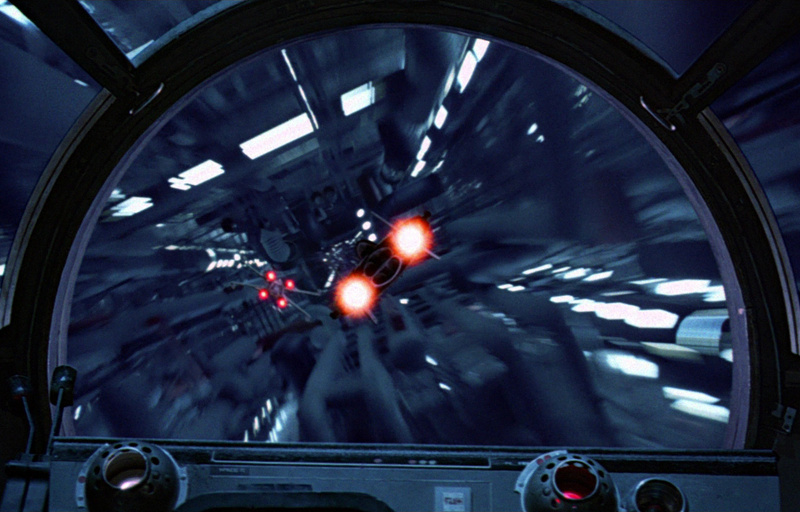 Given the call sign “Red Five,” Luke magnificently piloted his X-Wing through the Death Star trench, narrowly escaping death and destroying the battle station just before it could fire its deadly, planet destroying weapon at the fourth moon of Yavin. Saving the day (with a little help from the Millennium Falcon), Luke flew away in his X-Wing the hero of the Battle of Yavin. Honestly, who wouldn’t want to be an X-Wing pilot after seeing A New Hope for the first time? I bet kids in 1977 went crazy over Luke and his X-Wing! Plus, imagine all of the little kids on the planet Aldera…crap, that planet was destroyed. Ummmm, imagine all of the little kids on the planet Chandrila hearing about the heroics of the Rebel pilot who destroyed the Death Star! Some of those little ones would surely want to grow up and join the Alliance fleet and be just like that pilot. And what would they want to fly? AN X-WING! Little Chandrilan brats! What about the Y-Wing!?!?! I am just going to come right out and say it: If I was a pilot in the Rebel Alliance, I would want to fly the Y-Wing Starfighter. Actually, I wouldn’t just say that the Y-Wing is the fighter I would choose to fly for the Alliance, but that it is one of my favorite Starfighters in the Star Wars universe, period. A few others: the TIE Interceptor, the ARC-170, and the Naboo N-1 Royal Starfighter. These are all on a rotating basis as my favorites, but more often than not, the Y-Wing holds the top spot. Sure, the Y-Wing is slow and lacks maneuverability, making it an easy target for faster Starfighters. In fact, playing the TIE Fighter computer game when I was growing up, I probably shot down more Y-Wings than any other Rebel ship. Yet, this fighter-bomber, with its sleek and somewhat odd looking design, has always held a place in my Star Wars loving heart ever since I first saw A New Hope. As a kid, while I loved to watch Luke Skywalker and his X-Wing destroy the Death Star, I was equally captivated by these curious, Y-shaped ships that appear for only a few moments. We get to see the X-Wings of Red Squadron dogfight, but it is the Y-Wings of Gold Squadron that initially brave the trench in an attempt to destroy the battle station. We watch as Gold Leader, Gold Two, and Gold Five try to “stay on target” as they are pursued, and destroyed, by Vader and his wing men — and just like that, it is time for the X-Wings to make their runs. The survivors of the Battle of Yavin, INCLUDING A LONE Y-WING, fly away from the Death Star before it explodes. 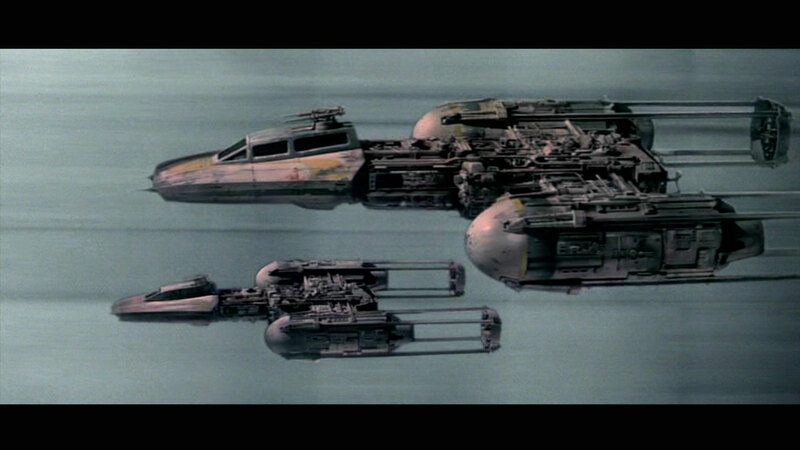 When it comes right down to it, I hardly need to justify why I love the Y-Wing or any other Starfighter in Star Wars. The fact that I do love it, and think it looks really cool, should be all the justification that matters…which I suppoooose means I should be nicer to those Chandrilan kids who want to fly an X-Wing. If they love it, how am I to deny them? Be sure to leave a comment and tell me what Starfighter(s) you like! [ii] And so did Wedge Antilles, the other X-Wing pilot who survived the battle.